Vegetable rice is a good source of carbohydrates and protein. 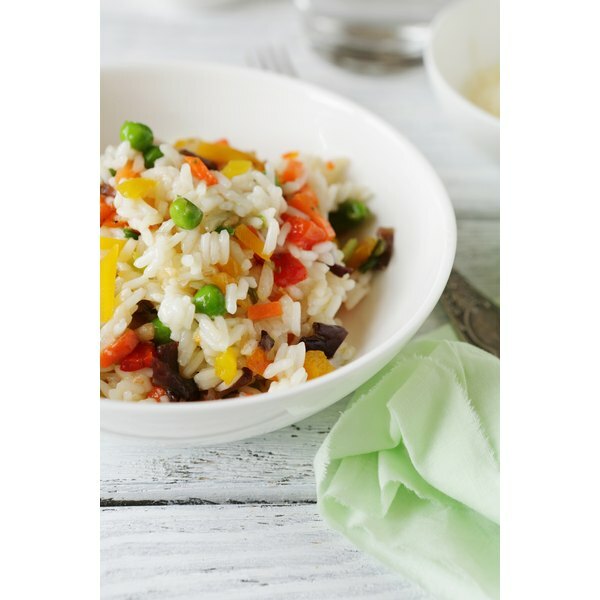 Vegetable rice can be a healthy dish that provides grains and nutrients if it is prepared right. The healthiest option is steamed white rice with vegetables. This has the lowest fat and calorie content. A serving of garden vegetable rice is 1 cup. This contains 300 calories, 2.5 g of fat, 41 g of carbohydrates and 4 g of protein. 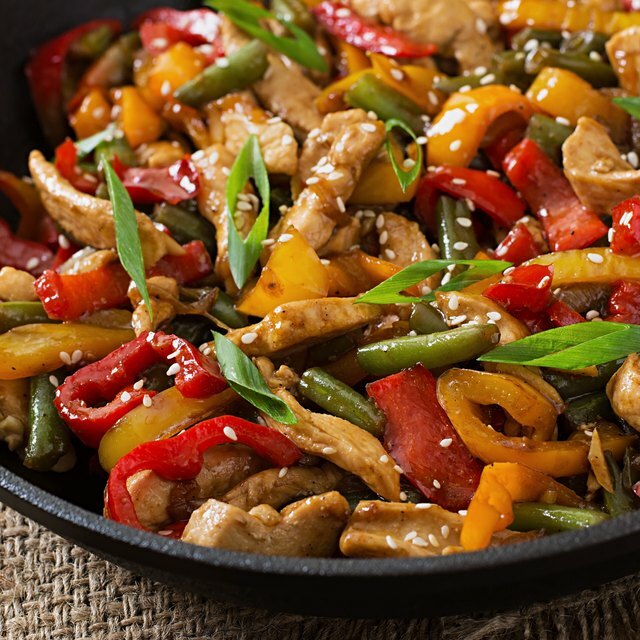 A serving of fried rice with vegetables is 2 cups and contains 364 calories. This also contains 14 g of fat, 46 g of carbohydrates and 14 g of protein. A serving of steamed white rice with vegetables is 1 cup. Each serving contains 190 calories, .5 g of fat, 42 g of carbohydrates and 5 g of protein. A serving of brown rice with vegetables is 283 g and contains 260 calories. Each serving also has 9 g of fat, 36 g of carbohydrates and 9 g of protein.